Steven: "This is my casual Friday dinner jacket look -- nothing too over the top." 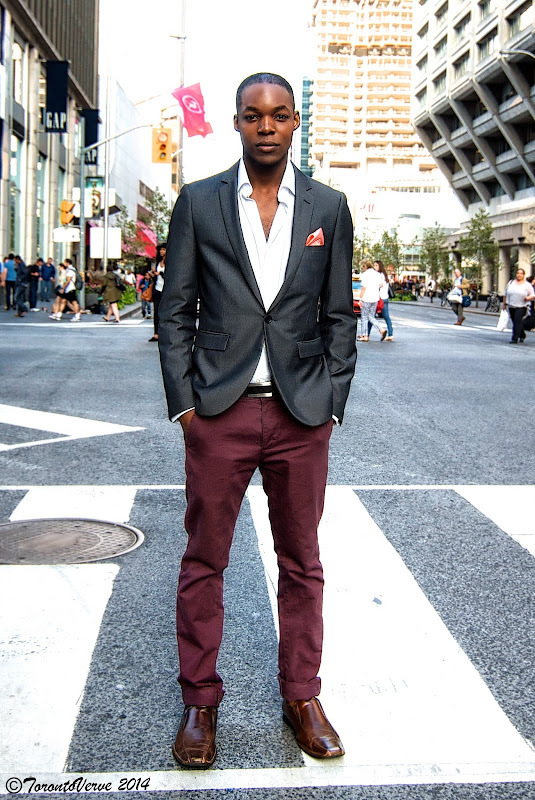 TorontoVerve: "The last time I shot your street style, you said that your look was inspired by James Bond. Is the Bond thing happening today or is it someone else?" Steven: "I would say it's George Clooney. He's very suave. He doesn't need to show off. He's ok with being on his own. He's the ultimate bachelor. I know he's getting married now, but he's still the ultimate bachelor and I like to look to him for fashion." 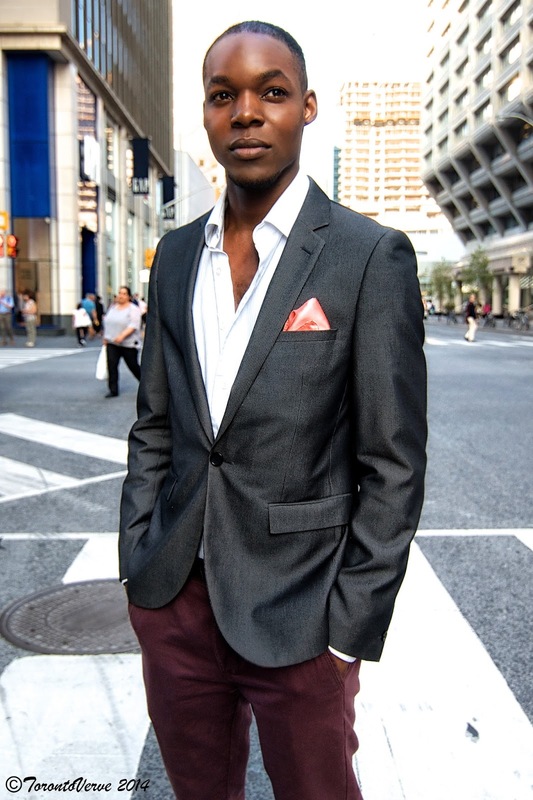 TorontoVerve: "Like Clooney, do you want to live the ultimate bachelor lifestyle?" Steven: "When I heard he was getting married, he kinda let me down (laughs). But it shows that you can get married even later in life. Love conquers all." I understand how he could stop traffic!